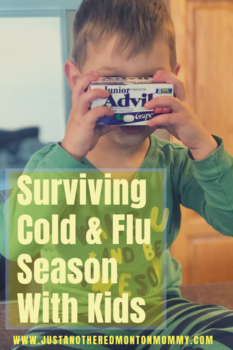 Summer vacation seems like it was forever ago, we’ve survived back to school and that only means one thing, it’s time to prepare yourself for the cold & flu season! As a parent of 3 kids, 2 of which are in school full-time, I know that the kids getting sick is inevitable. There have been times where it felt like a perpetual circle of sickness where the first one that gets sick, gets it again after the last one. 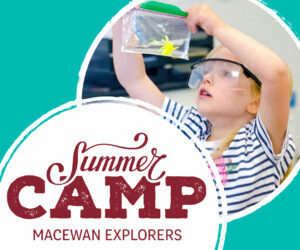 This however does makes sense because according to AboutKidsHealth.ca, kids can get six to twelve colds a year. As kids get older they build up immunities and get sick less, but when kids are in school or in other settings where there are a lot of children in close proximity, it’s the perfect environment for cold & flu germs to spread. And even though my youngest isn’t in school just yet, he will still be exposed due to his siblings bringing those germs home with them. Aside from everyone washing their hands often there really isn’t anything else that you or your kids can do to avoid getting sick, which makes it even more important to be prepared. Here are some things that I do to make sure that I’m prepared. Even if all of the kids are sick at the same time, they don’t always have the same symptoms. Helping your children to manage cold & flu symptoms like a sore throat, fever and pain is easy with Children’s Advil Suspension. Available in different flavors such as Berry and Grape, it can help your kids with fever relief for up to 8 hours so that they are comfortable and able to get back to being kids. 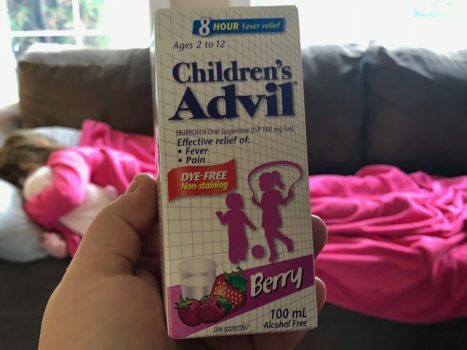 If you have a child like my youngest who refuses to take liquid medications it can be quite stressful however when it comes to managing cold & flu symptoms it works just fine because Children’s Advil also comes in a chewable option. 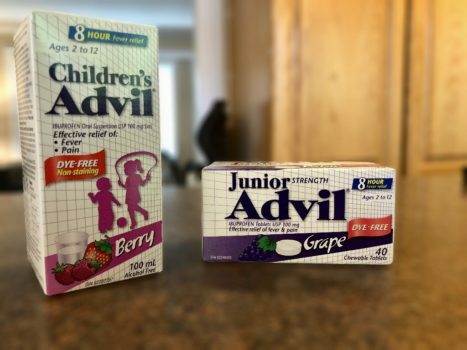 Not only do Junior Strength Advil Chewables help to manage the same symptoms as Children’s Advil Suspension they also come in the same flavors too! When it comes to our kids being sick, helping them to find relief while their sickness runs its course is important to us as parents. I’m pretty confident that I’ve got this down pat, and so do you! This post is created in partnership with Children’s Advil but opinions and experiences are my own. Be sure this product is right for you. Read and follow the label. This information is provided for informational purposes only and is not intended as a substitute of any kind for professional medical advice, diagnosis or treatment of a qualified professional as required. Speak to your healthcare professional before making any changes to your lifestyle, or beginning or discontinuing any course of treatment. Never disregard professional medical advice or delay in seeking it because of something you have read on this site. I used to give this to my toddler until he said it’s too sweet mom. Even the ones that say sugar free / dye free still have sugar. Read the labels. I never gave him cough syrup of any sort after that. If you let the body fight eg. do it’s built to do, it’ll take a few days & they will start to feel better. Research shows that it is much better to let your child’s immune system do it’s thing. A fever is the body’s natural immune system fighting off the virus. By suppressing a fever, you are actually prolonging the child’s cold symptoms. How much did Advil pay you to write this? This is a post that I created in partnership with Advil, but I do use the product and have with all 3 of my kids. I think there is a time for using products such as Advil and it has worked well for us. My 3yr old grandson been getting runny nose, cough and fevers of 101-107 temp every 4-5 hrs for 1-2 weeks nobody has to pay me to say both Dr and hospital after all their exams and tests are good told me to use both Tylnol and Advil together when fever is so high. If I don’t give him anything and just let it run its course as you are suggesting/insisting he could die with a fever that high! I agree to let the body do its job. But I don’t mess with fevers. My 18 month old would spit out any medicine, and we had to call an ambulance because she went into fever convolutions. No one wants that to happen to their toddler. That is very scary about your toddler! I’m lucky that if my kids have refused the liquid than the chewable ones are also available and vice versa. That is crazy let the fever do job to immune your body and do nothing to give medicine,,my kids one time had high fever and had convulsions and the first time to happened that we are very felt he will gone we called ambulance and brought to hospital so the doctor said you have to maintain lower the high fever give medicine Tylenol and Advil alternative don’t let the fever go up it cause convulsions , so Everytime my kids have fever we give Advil only if the fever is so high like 41 then give Tylenol and Advil to bring down the fever..